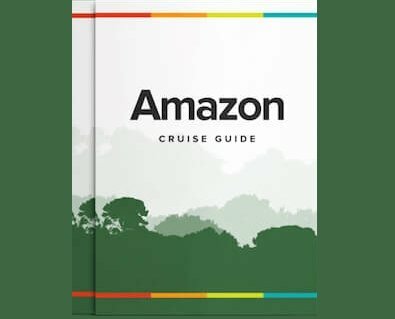 We classify the Clavero Amazon Cruise as a historical Amazon cruise on account of her fascinating history. 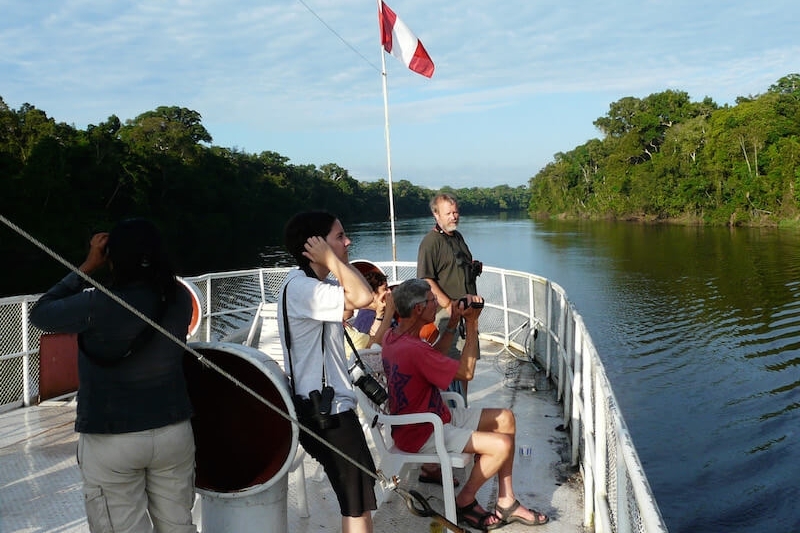 However, the Clavero also boasts comfortable amenities for anyone aspiring to tour the Amazon River. Clavero is equipped with six air-conditioned cabins, each with two single beds, wardrobe, private bath and shower. She does not have hot water, but in our experience, when returning from excursions, passengers are usually quite eager for a cool, refreshing shower. The Clavero Amazon vessel is a cozy expedition cruise ship navigating in the Peruvian Amazon measuring 28 meters long and 5 meters wide. A comfortable, communal dining hall is where cruisers enjoy well-cooked, local and international meals prepared by local staff. In the evenings, passengers can enjoy the library for some quiet reading, or sit on the upper deck and enjoy the sunsets or observe passing Pink River Dolphins. The Clavero Amazon Cruise was originally named Cahuapanas, and served in Peru's first Amazonian fleet. Clavero earned her stripes during Peru's military expedition to expel an invasion by Ecuador in 1903 along the Napo River. Two years later, Clavero was commissioned to explore the upper Purus River by Peru and Brazil in order to establish frontiers. Following this period, Clavero was purchased by the Morey family, known in the Amazon for shipping and commerce, to be utilized as a cargo vessel. During her career as a working Amazon steamship, she was utilized in both military and civilizian capacities. In the Peruvian Navy, Clavero played a critical role in exploring and protecting Peru's fragile borders. As a mail and cargo delivery ship, Clavero assisted to maintain communication lines and trade between jungle outposts and Iquitos. By the 1960s, Clavero had fallen into disrepair, until being remodeled in 2007. The Clavero Amazon Cruise now proudly navigates some of the Amazon tributaries she helped to put on the map. 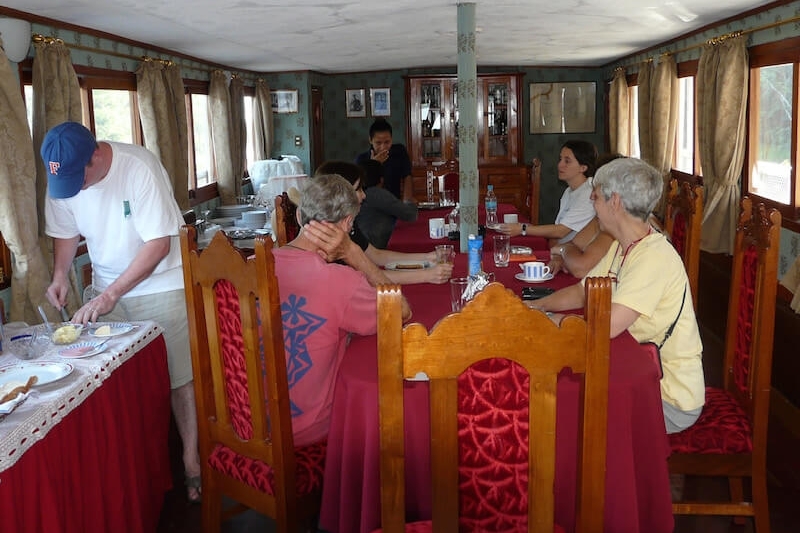 Eco-tourists eager to discover the beauty and biology a Peru Amazon tour has to offer, are encouraged to consider Clavero Amazon cruise as their riverboat cruise of choice. Please note there is a minimum of 4 passengers required for a departure to be guaranteed. 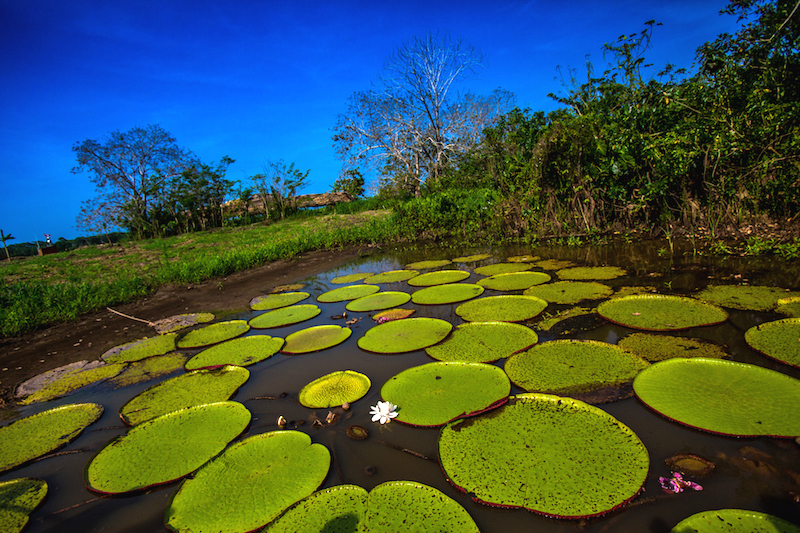 Clavero Amazon Cruise is a lovely, historical Amazon cruise hailing from Iquitos, Peru. In fact, she is the oldest functioning riverboat on the entire Amazon River! Although now operating as a wonderful historical Amazon riverboat cruise, she has had a number of occupations since construction in 1876 by Claparede Freres in Paris, France.